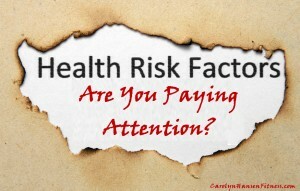 Health Risks are You Paying Attention? Chronic disease (diseases that are incurable and continue to slowly worsen during a person’s lifetime) is a modern health holocaust and accounts for 70 percent of all deaths. Despite the fact that these particular diseases are incurable, they need to be understood as preventable. Rather than working to prevent people from becoming afflicted with these dreadful diseases in the first place, a full 75% of all medical care costs are drained from our economy simply because we cater to the “walking wounded”…those people that are not truly well, but they are also not so unwell that they have become bedridden…yet. The ranks of the “walking wounded” continue to increase yearly and every one of us pays for their health care directly or indirectly. It’s unfortunate but true that for most people it takes the “shake up” of their world in some way to start paying attention to their own health and fitness. It is fear itself that drives the quest to remain healthy. 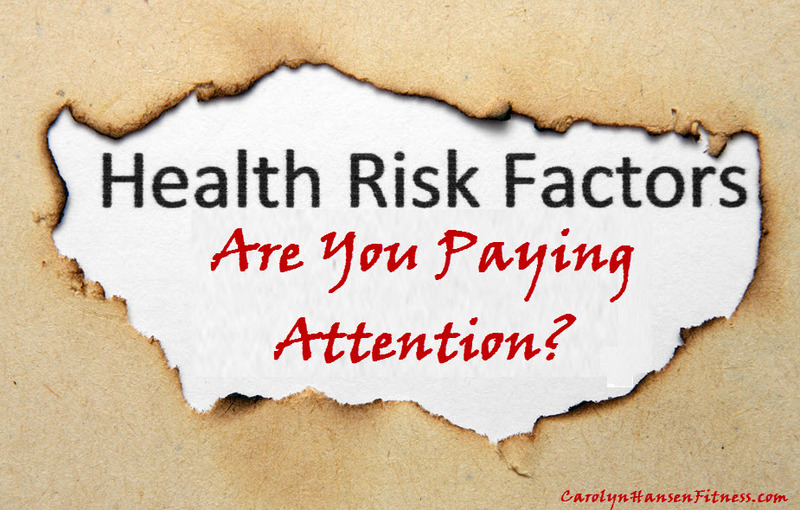 When surveyed on this very topic, more than half of those surveyed said getting diagnosed with a chronic life threatening illness trumped other common fears such as debt, job loss or divorce. Yet…and here’s the key…a full 2/3 of those polled also acknowledged they continue to follow a poor diet and rarely engaged in any form of physical activity and more startling is the fact that 4/5’s of this group recognized that being overweight or obese can and does lead directly to chronic disease yet despite the survey results only a small number of these people were willing to make any attempt to change their diet to lifestyle in order to reduce the risk of chronic illness. These people seem to believe that if they are not “feeling” sick at the moment then why change anything? It’s the “if it ain’t broke, don’t fix” mentality. What needs to be understood is that diseases such as cancer, diabetes and heart disease do not just happen out of the blue. They take years (even decades) smoldering away and hidden until they reach a point where health issues and symptoms finally emerge. Then, rather than own up to the real cause of the disease showing up as poor lifestyle choices, “aging” becomes the crutch…the excuse that is used as to why disease set in. But, it has been proven that “common chronic disease” are really NOT part of the aging process but are the result of years of lifestyle problems that render the human body a disease magnet. Do you honestly believe that you can violate basic health principles by adopting a sedentary, no exercise lifestyle and continually subject your body to shocking poor food quality all while trying to live in your modern stressful day to day live and not expect that something has to give? Even if we are fortunate enough to avoid the worst dreaded diseases, we can still suffer from low energy, not feeling well, being tired, listless and apathetic with no motivation to be active. The majority of the population simply has no clue about their current lifestyle nor are they prepared for what lies ahead. Truth is, you cannot separate yourself, your health and your fitness from your lifestyle…they are all connected. You need to come down out of the clouds and face the reality that everything you ARE is connected to everything you DO.